Despite promising advances, important scientific questions remain unanswered in the effort to develop a safe and effective Ebola vaccine, according to members of an international Ebola research consortium. In a Viewpoint published in The Lancet, the experts review the current field of Ebola vaccine candidates and clinical trials and highlight key gaps in knowledge that need to be addressed by future research. Researchers at the National Institute of Allergy and Infectious Diseases (NIAID), part of the National Institutes of Health, are among the Viewpoint's authors. All authors are with the Partnership for Research on Ebola VACcination (PREVAC). In addition to NIAID, the partnership, established in 2017, comprises experts from the French National Institute of Health and Medical Research (Inserm), the London School of Hygiene & Tropical Medicine (LSHTM), the West African Clinical Research Consortium and their collaborators. 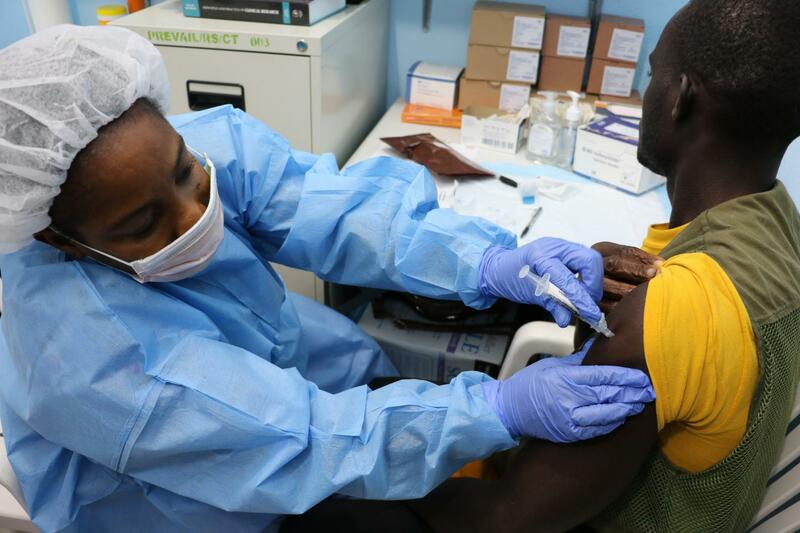 PREVAC is currently conducting a Phase 2 clinical trial in Guinea, Liberia, Sierra Leone and Mali to evaluate three Ebola vaccination strategies in people one year and older. Y Lévy et al. Prevention of Ebola virus disease through vaccination: where we are in 2018. The Lancet DOI: 10.1016/S0140-6736(18)31710-0 (2018). NIAID Director Anthony S. Fauci, M.D., is available for comment. H. Clifford Lane, M.D., deputy director for Clinical Research and Special Projects at NIAID and an author of the viewpoint, is also available.